Spending one day at Vienna Piano Academy in Vienna, Austria, no matter if only as an auditor or as an active participant of our programme, in order to improve your piano playing and learn deeply to understand the music you play: For piano enthusiasts, this will be an unforgettable experience! The secret behind: piano lessons in Vienna. The aspiring young pianists will be offered the opportunity to perform at the Ehrbarsaal, one of the most beautiful concert halls in Vienna! Those, who only want to improve their piano playing, but who do not like to perform in one of our participants concerts, are also welcome at our international piano event in the heart of Vienna. Learning to refine their piano playing while meeting other young people from all over the world, who also want to enhance their performance, means an invaluable enrichment for many piano playing young people, no matter, if they are hobby pianists, piano students at a university or at a music school, no matter if amateurs or professionals. ­For every piano lover, there’s something. The piano is a complex instrument. It is able to imitate the human voice as well as the sound of an orchestra. It is popular as an accompany instrument for singers as well as a substitute of an orchestra, in order to accompany f. e. a violin concerto or any other instrument. And of course, its greatest popularity it has as a solo instrument. In many living rooms or public places, restaurants etc., the piano serves only as an elegant piece of furniture or even as a beverage bar. The piano has many faces. It appears as an upright piano, which does not require a lot of space and which fits into a small room, but which you can find also in bars and restaurants. The king of the pianos is the concert grand, which has a length of around 2,8 meters, is characterized by its full sound, which is able to drown even a big symphony orchestra. It is easily heard all the way into the back rows of a concert hall that covers thousands of auditors. The baby grand with a length of about 1.4 metres is a good compromise between the concert grand and an upright piano. There are lots of intermediate sizes, which can be purchased, depending on the room and size of one’s wallet. Besides the acoustic piano, there is the very popular e-piano, which is characterized by its low weight, portability. This instrument is very convenient and particularly popular in the pop music area. What it is missing, is the resonance body. In spite of the sampled grand piano sound, the digital sound of the e-piano cannot be ignored. Last but not least to mention the keyboard, which has fewer keys than the e-piano and acoustic piano. As you can see we have many options to get started with our piano lessons in Vienna. 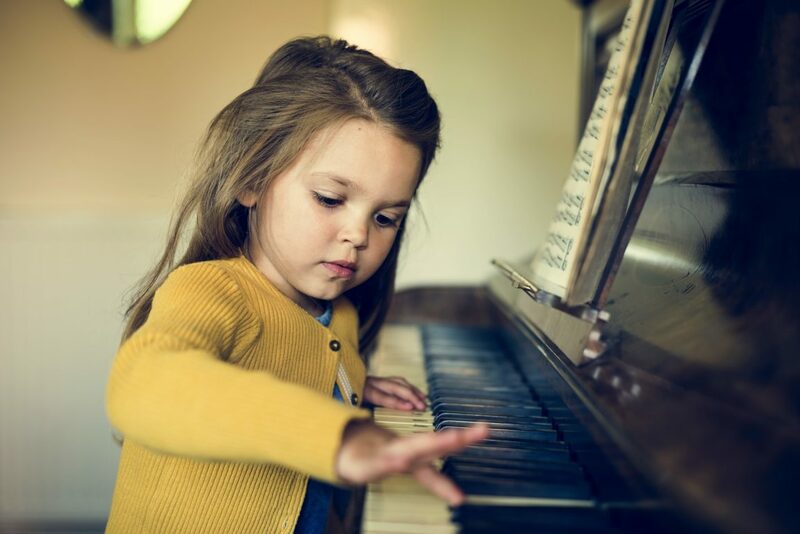 Many children, who want to learn the piano, is offered often only an electric piano, because their parents do not have enough room in their flat and money to buy a grand piano. If they enjoy learning and playing the piano and keep practising, it would make sense to buy an acoustic piano for them. One can also rent pianos and besides this option, there are lease-purchase arrangements, which enable parents to acquire a piano without the need to spend a fortune. Learning to play an instrument enriches everyone. It trains the ear and the power of concentration and offers musically talented people to express their feelings through music. Can you as well imagine taking piano lessons in Vienna?